“It was a fine autumn morning; the early sun shone serenely on embrowned groves and still green fields; advancing on to the lawn, I looked up and surveyed the front of the mansion. It was three storeys high, of proportions not vast, though considerable: a gentleman’s manor-house, not a nobleman’s seat: battlements round the top gave it a picturesque look. Its grey front stood out well from the background of a rookery, whose cawing tenants were now on the wing: they flew over the lawn and grounds to alight in a great meadow, from which these were separated by a sunk fence, and where an array of mighty old thorn trees, strong, knotty, and broad as oaks, at once explained the etymology of the mansion’s designation. Today I visited a friend and former neighbour who, with her husband, moved to work in Sheffield. 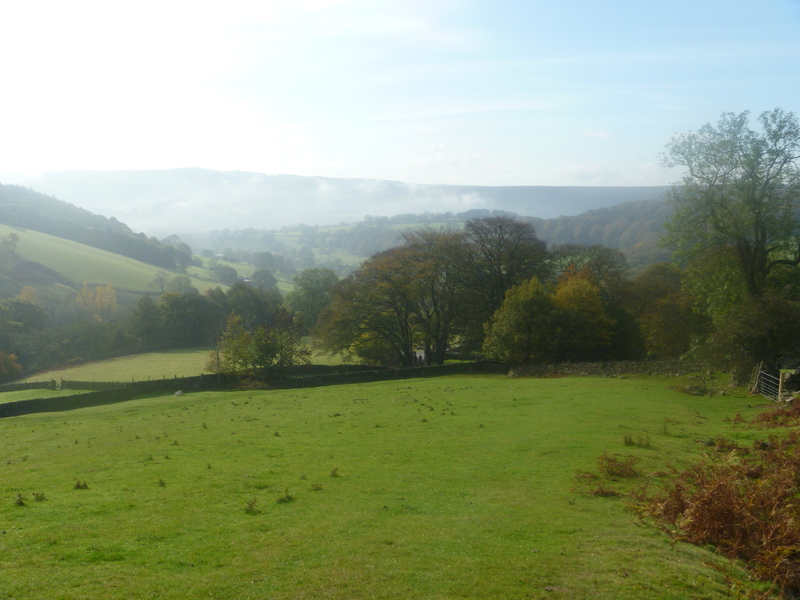 They now live in the Hope Valley in the beautiful Derbyshire Peak District . 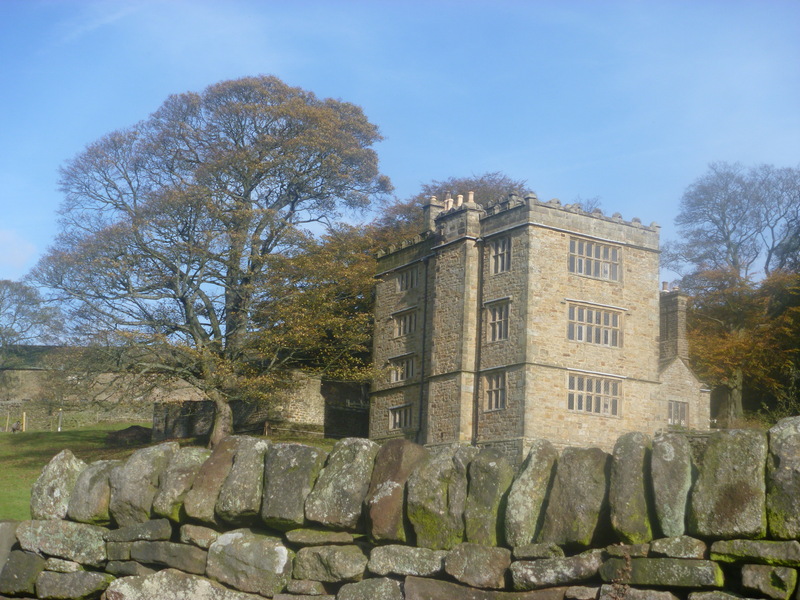 Our plan was to take a walk from her house to visit North Lees Hall, visited by Charlotte Bronte and her friend Ellen Nussey. 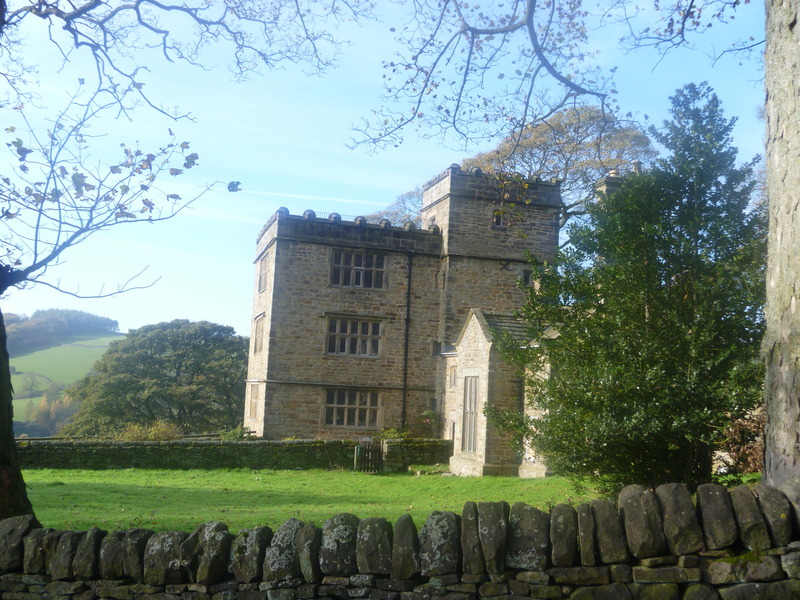 Bronte later based Mr Rochester’s home Thornfield Hall on North Lees Hall. The Vivat Trust has similar aims to The Landmark Trust. I have never stayed in one of their properties but my feeling is that they do everything much more comfortably or even luxuriously but that they don’t have such a ‘low’ (ruinous?) starting point. North Lees Hall is a Vivat Trust property. The day started off very misty – but these always turn out the best. After a cup of tea and brief chin-wag we headed off up the hill from her house. 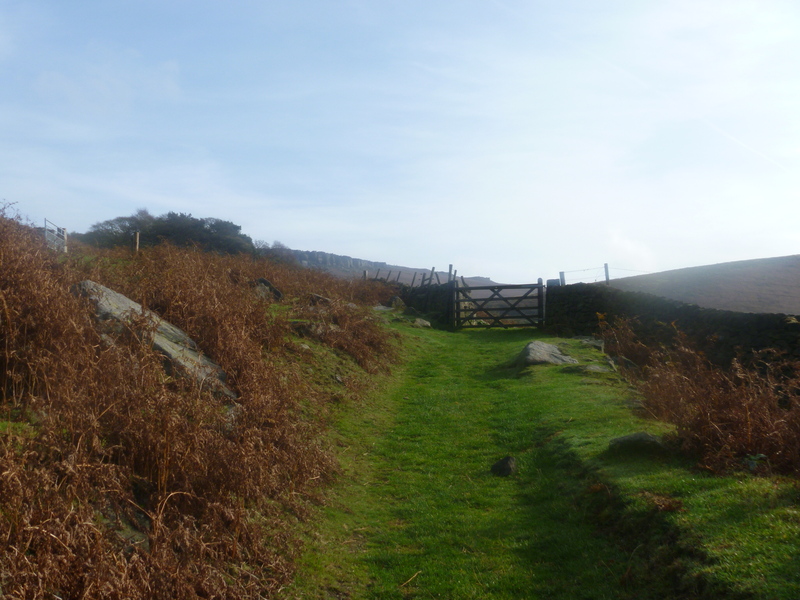 It was a perfect walk – a climb up the lane to begin and over a couple of stiles and then green grassy paths for a good hour or so with wonderful views of Stannage Edge (a climbers paradise, apparently). Eventually through a wooded copse we spied the Hall. 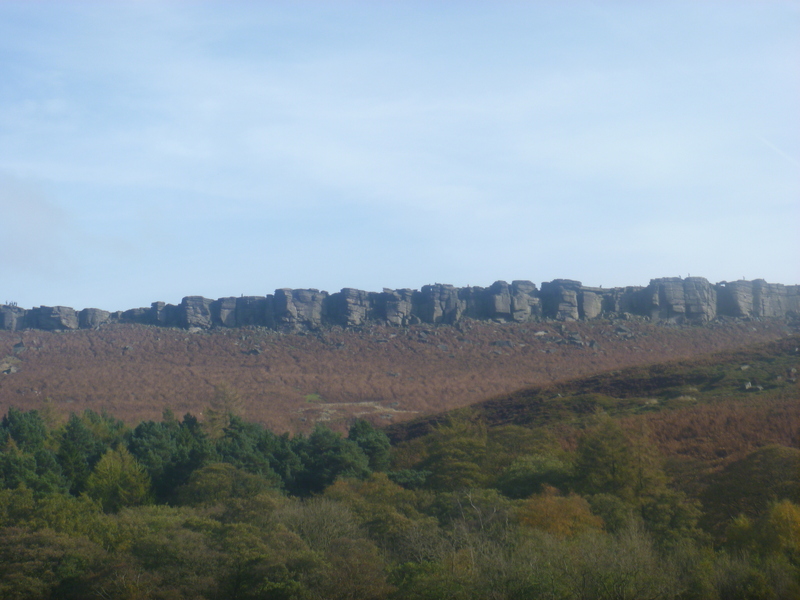 By this time the sky was fully blue and cloudless (Jane Eyre’s “fine autumn morning” indeed). Another hour’s walk via an Ice Cream Parlour (Hope Valley Ice Cream) brought us across a golf course and home for lunch. This entry was posted in Milady steps out, Milady travels at home and tagged Books, Brontes, Derbyshire, Historic Houses, Vivat Trust. THIS IS ENGLAND !!! Thank you for taking me there with you ! Just beautiful! A post about one of my favourite books & pictures of the real Thornfield that I don’t think I’ve seen before. Thank you Barbara. Beautiful indeed, Lyn, thank you. It was wonderful to see for real and on such a perfect autumn day too. Perfect day for it, though. It is always good to get out on the hills and in good company too. “Thornfield” (anagram of “north” and lees are fields) was just the icing on the cake. Beautiful & isn’t Vivat Trust the one that has a selection of Persephone books in each property? ?